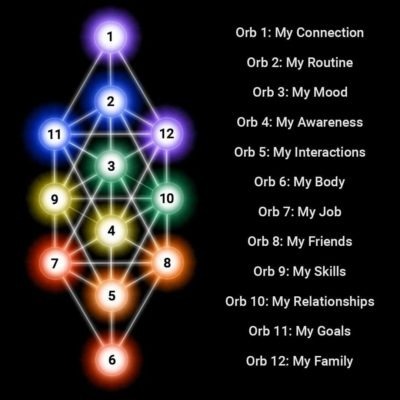 In this ORB you will explore your connection to your higher self by developing and strengthening neuropathways that open you up to existence and ever increasing levels of higher universal consciousness. GET READY TO UPGRADE ALL AREAS OF YOUR LIFE TO A PLACE OF PEACE, LOVE, POWER, HIGH LEVEL SKILL, AND FREEDOM! You will find yourself living an authentic and functional vibrant life by following this ORB development protocol. 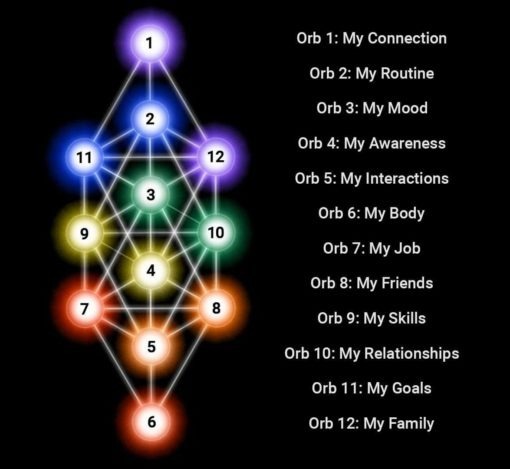 The ORBS are based on the physical structure of the body and are the organizational system for storing the memory of all of our life experiences. These memories contain a goldmine of fuel and energy ready to be converted into our highest functioning and potent Gamma energy for the activation of our Lightbody. Our Lightbody is a Pineal operating system connected to the unfoldment of our higher sensory abilities which are fueled by the Gamma conversion from our bio-chemical body operating system experiences into Gamma, plus from the remembrance of our future projected memories which become materialized by our intentional design with the Gamma breath practices. The Twelve ORBS making up the Quartex were conceived of by Core Love. In each ORB audio you will be guided to focus on a specific life theme, and breathe through Gamma sequences that will evolve that area of your life in exponential and unprecedented positive ways. You will access the fuel from related stored memories that you will then convert into Gamma. Then you will take this Gamma energy and focus on specific outcomes you desire to activate and actualize into your life. As you utilize this practice several times for each ORB as you desire, you will witness how you manifest everything that is in alignment with your true self in record time, as if time collapses, being that you are entering quantum consciousness to manifest your visions, skills, and goals. As you navigate the territory of each life area, you will see how you can heal disruptive patterns and nonfunctional aspects in each, and bring harmony and desired results to each. This occurs by being in the Gamma state– a higher perspective and frequency from which to solve situations and access synergistic and way more evolved perspectives. RahQuel guides you in a thorough and succinct manner –20 minutes per audio process- to explore the limiting charged states and bring them to neutral for each life area, and then into the personal, interactive, communal, and quantum fields for each one in order to develop and harness new territory and be able to function optimally. This is full spectrum living, broadening vibration and perspective. You can purchase one ORB audio set at a time, or a set of four, or all twelve. Start on the ORB where you feel most drawn, and go in the order that your Gamma state informs you to go from there. You can work on several ORBS at once, though ideally not more than three. You can practice with these audios as often as you like, though at least a couple of practices total with each is recommended for achieving massive levels of depth and mastery in each one. 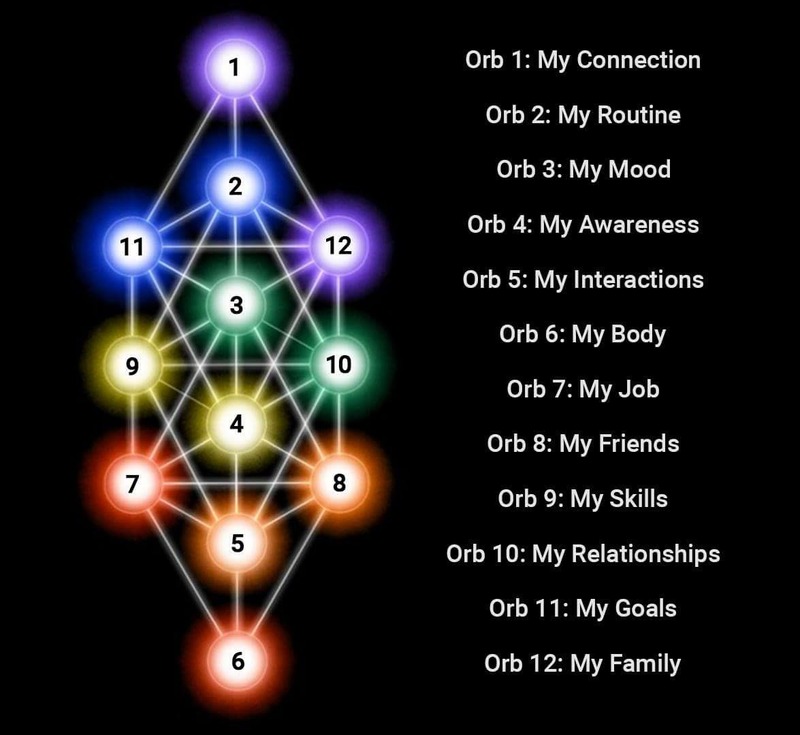 If you practice with one ORB (parts A, B, and C, in this order- you can do all three daily, or A for a few days, then B, then C) for an entire week, you will experience large paradigm shifts in your life. This said, Gamma activations are unique in that even one single Gamma breath can bring you the shift you are seeking! As you train yourself to focus your consciousness with each ORB, you will find that your life upgrades in beautiful, amazing, and miraculous ways. And what is also special about these audios is that you can revisit the whole series as often as you wish and experience infinite growth in your awareness and expansion in who you are. As you journey together with RahQuel with Gamma techniques to rebuild all the regulators in your brain, you will also rapidly recover from all trauma, addiction, programming, hacking, suppression and lower energy states. You will become increasingly activated into your versatile, authentic and skilled beingness, ready to take on an awakened life and share your legacy with the planet for global consciousness and community evolution!